What can I do to help the children of Africa? Below are a number of ways you can offer assistance to a child, or children living in Africa. Majority of the ways are simply implemented and offer enduring consequences in the lives of the African children that live in saddening conditions many of which you can never imagine. However your assistance can well help a child in a way that it can take them out of the miserable poverty cycle, out of the slum and into a better life with a future and hope. I know a number of children that I met during my 16 years of operation that today have well paying jobs, families as well as living in a better condition than that I met them in. this is because there was some one kind hearted like you that offer help to them and gave them support to elevate them from their terrible situation in which they where to a better future. Become informed – on our website you will discover various stories plus pictures that offer you an insight of the troubles of African children. Follow the links below and you see the stories, their accounts and so much more. Create an African Children support-group: This can be done very easily. Find some people with the same idea in mind, set a meeting and brainstorm on some of the things you can actually do to assist the African children. I will offer you with some background information that will help you create this group. Hold an Informational Meeting about the African Child: you can d this at church, through Sunday School, University Groups, Civic Organizations or Classrooms, and I will offer you with some written information that will be helpful. Pen Pal in Africa: this is a very great way to find out more about the African way of life directly from Africas. You can create friendships between child – to – child or adult – to – adults. Collect Funds for Africa Children: recently a girl living in Spain sent the contents from her piggy-bank and asked me to assist a child from Africa. It was very heartwarming and illustrated to me that the efforts I was doing here in Uganda where very helpful to the children. Sponsor a child living in Africa: you can do this as an individual or as a group. Send them some books: In USA you can acquire a flat-rate multinational envelope and send to Africa some books. The envelope is affordable at about 11.5 USD plus a few children classics are a great selection for the kids who actually have a very bad reading culture. Sent toys to the children: several children living in slums do not have toys; so any toy which you can slip into the flat-rate envelope from USA is a great reward for them. 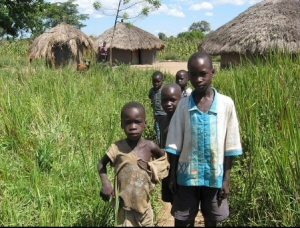 Send a donation: You can also send any size of donation and it will actually be very useful to these African children. Visit Africa; Uganda – this is among the best things you can actually do by visiting personally these children as see where and how they stay. Visit Africa on a Volunteer Work-Trip or take a Short-Term Mission Trip: many get an opportunity to experience Africa this way.